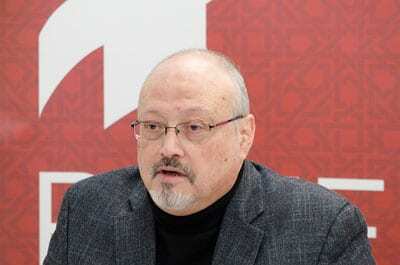 The ongoing drama surrounding the murder of Saudi journalist Jamal Khashoggi in Istanbul has dominated global headlines in recent weeks…writes Sean Savage/JNS. Amid the near-daily details over the murder, cover-up and now acknowledgement of the Saudi government’s role in the grizzly slaying has come a significant power struggle between two regional foes that is exacerbating tensions and threatening to cause further Mideast instability. Turkish President Recep Tayyip Erdoğan has seized on the murder of Khashoggi to directly challenge the Saudi government, which he sees as a regional foe in his quest to further build up Turkish power in the region. In his major speech on Tuesday, Erdoğan raised the stakes in this dispute. 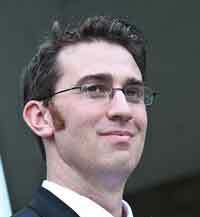 Burak Bekdil, an Ankara-based columnist and founder of Turkish think tank Sigma, told JNS that the Khashoggi affair fits into the context of a wider fundamental dispute between the two regional powers. “Prior to the Khashoggi affair, there was an unnamed cold war between Turkey and Saudi Arabia—two Sunni powers seeking leadership in the Islamic [Sunni] ummah,” explained Bekdil. Saudi Arabia’s King Salman and Turkey’s President Recep Tayyip Erdogan. Credit: Saudi Press Agency. “Turkey was the first country to help Qatar when last year a Saudi-led coalition imposed a siege on the sheikhdom. Turkey led the pro-Hamas, pro-Muslim Brotherhood bloc, including Qatar, while Saudi Arabia and Egypt led the anti-Hamas, anti-Brotherhood camp,” he said. Ayken Erdemir, a senior fellow at the Foundation for Defense of Democracies and former member of the Turkish Parliament, told JNS that while Erdoğan and the Saudis did have cordial relations several years ago, the situation has taken a dramatic shift in recent years. The people of Turkey and Saudi Arabia have a complicated history that goes back centuries. As the former centre of the vast Ottoman Empire, which until the early 20th century controlled the holy sites of Mecca and Medina in modern-day Saudi Arabia, the modern Turkish state, especially under Erdoğan, has sought to reassert itself as a leading Middle East power. Similarly, Saudi Arabia—the wealthiest Arab country—sees itself as the guardian of Arab and Islamic values. In recent years, both countries have quietly vied for control of the Sunni Muslim world that have put them at odds. Turkey has supported the Muslim Brotherhood, a longtime enemy of the Saudis, as well as its regional rival Qatar. At the same time, Erdoğan’s aggressive stance towards the Saudis also reflects an outrage among the Turkish people over the incident. Jamal Khashoggi speaking in Washington, D.C. in March 2018. Credit: Wikimedia Commons. Erdemir said that most Turkish people are extremely sensitive about their national sovereignty and upset over this attack, which Erdoğan has used to his advantage. “They see the Khashoggi murder as an attack on Turkish sovereignty. Erdoğan knows that this crisis gives him an opportunity to mobilize citizens who normally wouldn’t be sympathetic to his policies and messaging,” he said. In his speech earlier in the week, Erdoğan seemed to make his appeal directly to the Saudi king for a fair investigation—never mentioning his son, Crown Prince Mohammed bin Salman, specifically. Erdemir sees this as part of Erdoğan’s strategy to push the crown prince out of power and to have the Saudis install new leadership that is friendlier towards Turkey’s interests. “He has been carefully driving a wedge between King Salman and the crown prince. This is a unique opportunity for Erdoğan to reshuffle the Saudi leadership and bring to power individuals who would be more accommodating toward the Muslim Brotherhood and Qatar,” he said. At the same time, it would appear that Erdoğan is also limited in how much he can target Saudi Arabia, as the country is one of the most powerful in the Arab world and maintains firm control over smaller countries in the Persian Gulf, as well Egypt, the most populous Arab country, which it has provided considerable economic investment in and maintains close ties with President Abdel Fattah El-Sisi. “Erdoğan does not want to directly confront MBS and seeks to maintain cordial relations with the kingdom in public. Privately, he is furious that he cannot directly confront the Saudis. Too big [and rich] a piece to bite. He felt insulted to see the entire Arab world, which he wants to lead, rushing to support the Saudis,” explained Bekdil. For Erdoğan, challenging Saudi Arabia also means standing up to the United States and Israel. While Turkey is a NATO ally and maintains tense diplomatic ties with Israel, relations between the three allies have deteriorated in recent years as Erdoğan has taken on more of an authoritarian and Islamist posture. “Erdoğan views Saudi Arabia as a pawn of two powers he ideologically hates: the U.S. and Israel. He thinks the murder will damage the image of all three opponents,” said Bekdil. Nevertheless, Bekdil said that Erdoğan has also been limited in confronting both countries. The recent financial sanctions against Turkey, as well as threats to withhold the advanced F-35 fighter jet by the United States over their detainment of American Pastor Andrew Brunson, who was released earlier this month, hit the country’s economy hard. A new order in the Middle East? Despite the Saudi acknowledgement that the killing of Khashoggi was “premeditated,” it remains unclear how the Khashoggi affair and the investigation into it will play out. However, one thing that’s certain is that Erdoğan will continue to leverage the incident to further challenge the Saudi-led order in the region. “Erdoğan’s goal is a major reshuffle of the power configuration in the Middle East. This could exacerbate the existing tensions in the region,” said Erdemir. However, beyond some short-term manoeuvring by Turkey, as well as Iran, which is locked in its own Middle East Cold War with the Saudis, Bekdil does not see any revolutionary shifts in the region.